The information for this article is from the Italian book "La Povera Gemma" written by Padre Enrico Zoffoli C.P. 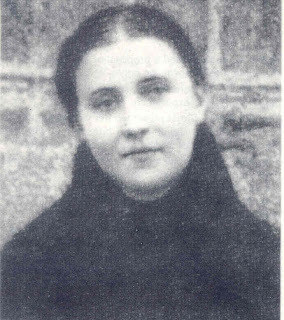 The book is a 1000+ page hagiography on the life of St Gemma. The webmaster would like to extend a heartfelt thank you to Mrs. Rita Dunn for translating it into English. May God bless her for her efforts. "La Povera Gemma" (Gemma The Poor) by Enrico Zoffoli C.P. p.419 Chapt.IV "Gemma was Beautiful"
J. Mouroux wrote that the Incarnation of our Lord has given to the human body a capacity of expression that goes beyond the infinite: it expresses God. 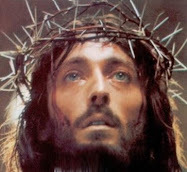 The face of Jesus is indeed the human face of God, so that " who sees Him, beholds the Father". If a person is revealed through the Face of Jesus we have a Divine Person that is revealed through a human face. A Person whose "profound reality" is that of God Himself. Therefore who becomes transformed in the Son " is" a theophany of the Father. Who resembles Christ reflects the light and joy of the Living God. This explains how in many saints we have so admired that ethereal beauty, so mysterious that transcends and gives light to the contours more or less regular of their facial features. Under this point of view, therefore, we need to recognize that in man there is a wonderful dichotomy between the visible and the invisible, the face and the soul, the external appearance and the life that goes on in mystery, under the eye of "He who searches into the abyss". she had well defined lips and jaw, straight nose, large forehead and chestnut color hair in normal amount irregularly parted in the front and gently gathered behind the head. Habitually Gemma had a smile on her lips and her countenance was ever infused by a"veiled melancholy" that revealed the misfortunes and also the passions of the young lady's soul. However, this internal sadness was affable and was revealed by her ever lowered eyes and her gaze which was irresistibly attracted and immersed in the mystery of Christ. The five authentic pictures reveal and confirm these descriptions about her. 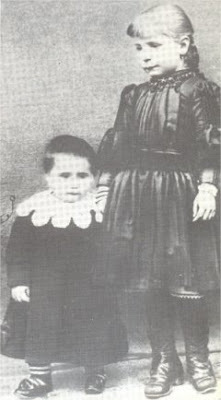 In one picture Gemma was seven years old and she holds the hand of her younger sister Angelina, when her mother was perhaps still living. The other four pictures were not taken before the year 1900. We could have seen her in a group picture with her classmates when she was studying at the Istituto delle Zitine, but on that day we are assured by Mrs. Ada Gattai that she was ill at home. We have the four remaining pictures because Fr. Germano wanted to make sure that posterity would see a most faithful image of his spiritual daughter. He was trying not to repeat the problem that happened with Saint Gabriele (St Gabriel Possenti -editor) since he was also at that time the Postulator General of his cause. The first picture is perhaps the best one according to the Giannini's family. She appears a little worried and almost afraid. Eufemia explains that the photographer had to beg her not to move and to keep her eyes fixed on the camera. In the third picture that was taken during a dolorous ecstasis, she is transfigured, her eyes are bright wide with an incomparable charm. of the same cut; plus her little straw hat of the same color. she was unmovable about it, this even pleased her. It must be said that she did not care at all to appear or to be noted by others. She could never sufficiently hide that fresh youthful beauty of her person and most of all her affable face. (p.421) Gemma had a very beautiful face that specially light up when she was smiling. Her rosey complexion was luminous especially when recollected. She was not very tall nor too thin, declared Mother Gesualda. Little Contessina Sardi who so many times could look at her up close, said "She was so graceful and attractive with such fine facial features, large luminous eyes, an enchanting smile and the sweetest facial expression... a agreeable incantation. She was pleasant." Mrs Ethel Rose wrote: "that young girl had a most beautiful face, I was stricken at my first encounter with the saint." These same comments were confirmed by many old people that met her. All these comments are undeniable because they are very documented. However we can not explain how a Tuscan, Mr. Bargellini, wrote that if he had indeed met a girl like her in Lucca... he would have derided her. In reality at Camaiore it happened quite the opposite. Alessandrina Balsuani wrote that Gemma had an admirer, his name was Romeo delle Lucche, she testifyes that "he begged her to tell Gemma about his sentiments for her". Soon after always in Camaiore a nineteen year old young man named Girolamo "the son of Doctor Bertozzi fell in love with Gemma, so much as he and his father went to Gemma's uncle Mr. Domenico Lencioni to ask her in marriage". (p.422) When she returned to Lucca one day as she was walking with her aunt Elisa a lieutenant of the cavalry approached the aunt and asked her if he could have a word with her. The aunt replied : "What do you want? Speak freely". The lieutenant said : "I would like to become 'engaged' to the young lady next to you". I replied : "She is just a child, she does not want a husband. She is not my daughter". The lieutenant replied so sadly : "I am so sorry at this, she looks like an angel and of a good heart. I am a good young man and I come from a respectable family, I could give you all the information of who I am... about my family....where we live...". During the last years when the physical and moral strains would bring about her collapse.. Cecilia Giannini wrote. -"very often when soldiers walked by.... they were all staring at her." It must be said that no one else recalled the superhuman grace of Gemma more than Pilade Franceschi. He met her when he was young by Mr. Marchetti, and he remained her dear affectionate friend. He recalls this secret chaste veneration he had for her. 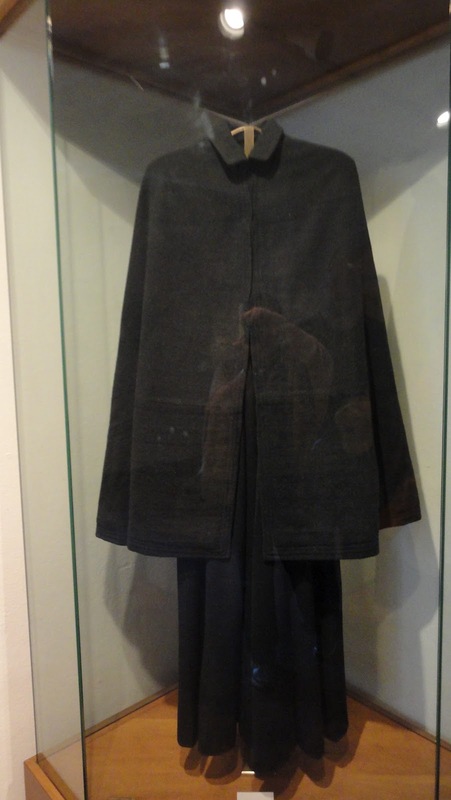 He describes : ".. her dress clean, simple, black like the one of a girl at a boarding school. Her eyes large and luminous with an ever present expression of a reflective intelligence. Her eyelids lowered just a little, a face from which goodness and modesty transpired; her inner recollection was a mature composure. Time has never dimmed this memory. I recall myself in the classroom cared and guided by Gemma Galgani a sweet and enchanting teacher, ready to help me...this gentle maiden was so lovely and full of kind cares. She had inexhaustible goodness, indulgence and patience. She was so faithful and capable to educate even those who were unruly. She was so alien to resentment, pride and ambitions. She was to me like an angelic image of perfection that left an indelible imprint in my young child heart". "As time was passing by the slight difference in age became non existent and we considered each other as classmates. Gemma so humble and frank and so estranged to any alternate motives, she seemed to forget that she was my teacher during my tender youth and she was treating me as we were on the same level. I was feeling and ardent emotional affection and a lively devotion towards this being so superior that it would make my heart beat... She was not a relative of mine, and I was never in love with her. I could not have for the fact that she was a superior creature and because of my respect for her. I will never forget our sacred friendship. In all the most difficult moment of my life, I always found myself asking the question: 'What would Gemma say'...?" unaware and unable to contain within herself that mysterious action of God who modelled her spirit accordingly to the desires and wishes of an infinite love. (p.425) Additional footnotes. Towards the end of the page: 40iv . The diagnosis of Professor Bianchini is clear from his letters and it is addressed to Mrs. Cecilia , the date is from Feb. 13, 1903. The other one was to Fr. Egidio, Gen. Postulator written on Nov.8 1922. For the scope of this writing we reproduce them in their entirety. This morning I was supposed to visit the patient in Via Rosa but if you do not mind I will do that tomorrow, also because there is need to collect more urine and have a total daily amount. I am not sure if she has TB however I am certain she is a diabetic. Sorry for the inconvenience, sincerely " Dr. Bianchini. I do not remember everything about Miss Gemma Galgani, the patient that you have inquired about . I can tell you from the note I wrote to Mrs. Giannini and from memory that my impression was that the patient had TB, however the tests results were never specific for that "bacilli" - I do remember I did several examinations. From memory I have to say that I had many cases of Tuberculosis associated with diabetes ( in many occasions the elevated blood sugar is favorable to the growth of TB bacilli). This page ends in just foot notes. (p.427) n.88. States that: The conduct of Gemma during the ecstasies clearly excludes that they were pathological in nature. n.100. The long tale of Dr. Tommasi about a note from Fr. Pfannar to Prof. D'Antonio Pagani of Nov. 20th 1907 about the various visits he did to Gemma before she became severely ill. The authentic copy was released to Mons. G. Ferrari Fiscal Promotor of the Lucca Process. n. 102. Cecilia Giannini reports the note written by the saint to Mons. Volpi.- "Monsignor, if you want to come , come. However do not bring others besides you. Jesus is not happy about this and He will not reveal you anything. Do as you wish, I will be happy with whatever you decide. God Bless you , I am poor Gemma." n.122. Inside the Museum of Saint Gemma in the Monastery of the Sanctuary in Lucca everything is visible, including the straw hat that she used to wear. A felt winter hat was bought for her by Matteo [Giannini] for her to wear when going to Mass. He did not want that Gemma going out in public would look any different from his daughters. He was very mindful about the level of education and wealthy conditions that the Galgani's family was once accustomed. The living members of the Giannini family have informed us of this. After the financial crash of the Galgani family with the death of Mr. Enrico Galgani [Gemma's father] Gemma when leaving the house wore a black veil. During the winter she wore a felt hat that is now lost. It was that hat that Mr. Matteo bought for her. The mother informs us that during that time the use of a hat was very common among the ladies in Lucca. p.429. These indications about the picture of Miss Galgani - not before the year 1900 - the content is in the correspondence between Fr. Germano and Cecilia Giannini. We are not always able to reconstruct clearly the story before mentioned. The ones of which we have absolute certainty of their authenticity besides her first picture [as a child] with her little sister Angelina. we believe it is important to make a special appendix of it. It appears that the date is from Sept. 20th ? 1900. Fr. Germano writes to Mrs Cecilia about the first of the 4 pictures of the saint. We have a lot of data and testimonies from the Giannini's that demonstrate that the first of the 4 pictures is the best of the two ordered by Fr. Germano. It is precisely the one so cited in all the letters. p.430. The work was done by the Photographic Studio of Mr. G. di Guilio & Co. (Garibaldi avenue, n.27. Lucca). "Do not forget about the new picture I requested but have it done at the first occasion as soon as this angel feels better...". "The exposure should be taken standing and almost frontal but without having her turn the neck rigtht or left. Her eyes looking up with an expression like Gabriellino II Galileo (Nicolini). Her hands crossed about the breast like Gabriellino I - the saint - the exposure should appear effortless and tranquil. Mother Gemma Giannini C.P. [Eufemia Giannini] and Prof. Mariano assured us that Mr. Beppe had received as a gift - that is still today in the home - a modest camera with which he took pictures of the saint during her 'dolorous ecstais'. Because there was not sufficient light he had to try several times but in the end he was successful. The pictures were not a work of art but Beppe sent them to Fr. Germano, who gave them to a professional artist that choose the best one. He commissioned a copy to be done oil colors. seen any human face like it. Now I am happy. If we were to buy the picture he would sell it to us for 25 lire. For now I will let him keep it, he is a good christian.....We shall see how this story of Gemma will end." (no date on this letter). Even though we lack the date the letter from Fr. Germano seems to be from the late months of 1902, as a note in pencil on this paper states that Gemma was 24yrs. old. The picture is the one hanging in the aunt's bedroom. We have ordered a faithful reproduction of that art work. You are confused - I was saying - What do you want to do with it? Jesus does well all things, -if from the portrait you could have gained profit, Jesus would have left it with you. But from an ugly and scandalous picture, and all of you know it, it is best that when the body dies out so it must be for everything with it. " "The worse thing dear Father is that after I hid the portrait I felt remorse. The Monsignor [Msgr. Volpi] was away I made them call Mr. Correttore della Rosa. I confessed everything to him and he told me to be obedient and to put back everything the way it was....it was evening, I was in bed. I did not obey. Neither did I the next day. We are now on Dec. 24th. Do you believe dear Father that I did not feel like obeying when Monday you commanded me to put the portrait back?" (Lg125p 239ss). The remorse was sincere; -and what else could a soul so pure could have felt? "If you give me a command" -she writes in the letter - "Dear Father forgive me, I will put it back where it was, but do not speak about it anymore.." IVP p294. In fact in another letter of Jan. 7th of the following year she informs him...."that the famous figure that was lost for many days was returned to its original place. Goodbye dear father, forgive me, it will be the last sin I do". "The way that picture disappeared and then reappeared again, it is a mystery to me. Gemma will not say anything about it and I do not understand it...". Therefore even though Ms. Cecilia was always very careful, it seems that on this occasion the poor Gemma was more clever than her. She was also helped by the 'dear Father' that even in the last letter he told her to be quiet about it and reccommended : ".....when you write about it, do not mention it". Lg.p.126 p.295. impress anyone that would meet her. We see her well covered because it was the winter of 1901. She was dressed exactly like she used to when going outside except for the hat that she used to customarily remove as soon as she went inside. p.432. Later on - May 25 (1904?) - Fr. Germano while writing to Mrs. Cecilia and her niece Eufemia, talks about the two pictures taken by Beppino (Beppe). We can not ascertain if one of the pictures is one that was taken of the saint with little Elena nor can we say if both represent Gemma during a 'dolorous ecstasis'. (letter from Mother Gemma Giannini). We do not have other documents that prove the authenticity of the four pictures of Gemma with that absolute certainty we desire. However, all the data collected can convince anyone that they show with fedelity the physiognomy of the saint. cf. 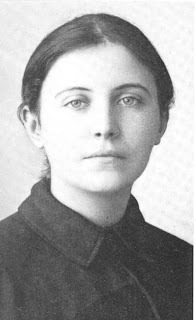 The true image of B. Gemma Galgani Sep. 1935. p.321.-1. The complete collection of 5 pictures is kept at the Monastery of the Sanctuary in Lucca. (AGCP). The original picture of Gemma in a sorrowing 'dolorous ecstasis' is visible in the bedroom of aunt Cecilia precisely when Gemma was sitting on the arm chair unaware that Beppino took that shot. It is for certain that it is one of the shots taken by him. The photo is the one - or one of those - given to Prof. G. Francisi. I fixed the typo..Thank you! 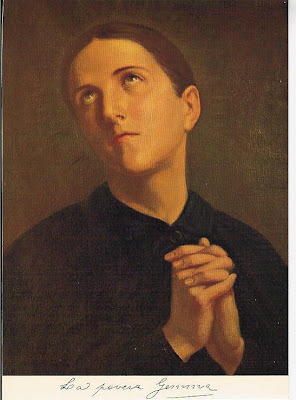 SAINT GEMMA WAS SO DEVOUT TO THE PASSION, SHE WAS SO HUMBLE, SO ANGELIC IN HER DOLORI, IT PUTS SHAME TO US IN OUR MODERN DAY VANITY & BLASPHEMY, PRAY FOR US BEAUTIFULL SAINT GEMMA! Why is Gemma's stigmata not visible in the picture of her folding her hands in the prayerful pose? Also, why are there no pictures of her stigmata? 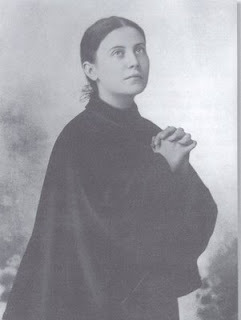 The reason why Gemma's stigmata is not visible on the photographs of St Gemma that were taken around the year 1901 is that unlike St Padre Pio for example, Gemma's stigmata was NOT continuous. 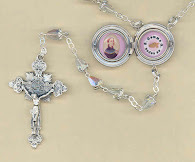 She would normally receive it on Thursday evenings through Friday afternoon, and by Friday night they would already be disappearing, and then by Saturday (or Suinday at the latest) the stigmata would be completely gone. In fact, this miraculous healing each week of her stigmata was one of the greatest sign as to its authenticity, because it is impossible for such wounds to heal so rapidly, and this weekly phenomenon greatly impressed the Physicians, Priests and all those who witnessed it. Apart from photo's there is actually some drawings of Gemma's stigmata by Gemma's spiritual directior, Father Germanus (an eyewitness) along with some excellent descriptions of her stigmata by other eyewitnesses. You will find them in the "stigmata" article on this website. Now, as far as pictures of her stigmata, unfortunately at that time camera's were expensive and rare, as you can imagine. It was Father Germanus who commissioned a professional photographer to take the photo's of Gemma that we have. These two photos of Gemma were taken with a daguerreotype camera, which for its time actually took excellent quality photographs. The original camera itself and the negatives are now kept in the posession of the Postulator General of the Passionists in Rome. Also, because of her great humility, Gemma literally had to be formally ordered by Father Germanus to "pose" for these photographs, otherwise she would not let her photo be taken. (The daguerreotype camera photograph process actually requires the person to remain in the same pose for several minutes while the picture is being taken). And so Gemma posed for these two photogrpahs only because Father Germanus ordered her to. Therefore I couldn't imagine her ever letting her stigmata be photographed. Dear Glenn, My daughter gave me a tablet, similar to an ipad. I am very low tech, so i don't know if you already have this feature. 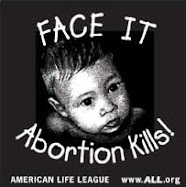 If you don't, could you please do so? I would like you to list each of your 70 articles in a table of contents or index and show it on your home page. I have no idea how to find each article. It's all by chance. If you place an answer here I won't even be able to find it, so i will give you my email address... tarsracket71@yahoo.com .... thankyou. 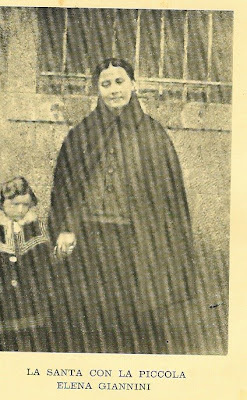 And I love these articles on St.Gemma. thankyou very much for making all of them available. Dear Glenn, i just found the instructions to use the web format and i see that you already have a list of everything on the right. Thanks from tarsracket. I am glad that you figured it out for yourself!---I hope that you continue to enjoy the website! Saint Gemma may have been one of the most beautiful women to walk on the face of the earth. She was stunningly beautiful inside and out.